Are you a big fan of the wonderment that is modern dance? Does the free-spirited nature, grace, and beauty intrigue you? Check out our comprehensive list of modern dance recitals in Pennsylvania! Pushing the Boundaries of Modern Dance! 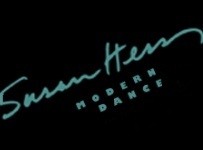 If you love new and innovative styles of dance, then seeing a show performed by Susan Hess Modern Dance is a must! Constantly pushing the boundaries of their stylistic focus, Susan Hess strives for ingenuity while adhering to the professional atmosphere. Their three core programs, the Choreographers Project, the Masters Exchange, and In Performance are sure to appeal to all types of modern dance enthusiasts. In their 32nd year of operation, they are still experimenting with new methods of vocal and visual art forms. Be sure to stop in on December 1st and 2nd, 2012 at 7:30 pm for their latest show. Tickets are $15 for adults and $10 for students with ID, DancePass holders, and senior citizens. Breaking Barriers and Building Bridges Across Cultural Divides! Philadanco! standing for The Philadelphia Dance Company presents the highest quality of professional dance performance from young ages to old alike. The overall goal of Philadanco is to promote appreciation of dance in its many communities. 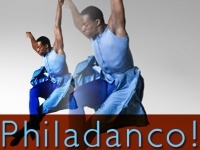 Phildanco provides some of the most unique and incredible dance performances in Philadelphia. In existence for over 40 years, Philadanco follows a predominately African-American tradition of dance style. The company is constantly incorporating people from diverse backgrounds and a wide range of cultural communities. The overall goal of Philadanco is providing the audience with an unforgettable performance. Go check out one of their well-renown shows! 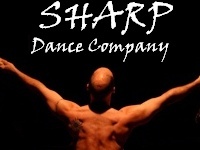 SHARP Dance Company redefines modern dance. For over 6 years, they have been performing some of the most unparalleled performances around. Drawing from their goal to make their shows more than just performances, SHARP strives to make each individual performance its own one-of-a-kind experience. Their last shows of 2012 will be in November. This show is titled, "Four hot men and an old lady." Their first show of 2013 won't be until April. This show is titled "A trip back to the Original Woodstock." Tickets for both of these shows are available from their website. If you are looking for a unique experience, give SHARP a try! Check out Local Rising Stars! MM2 Modern Dance Company may be young but they have the artistic driven spirit to create the most innovative shows for their audience. MM2 is most notable for their vast outdoor performances. As nature changes, so do their performances creating a truly individual experience for you each time you visit! Formed over 10 years ago, and based off an Italian rock band, MM2 strives to put visual art to this rock bands music. They have been collaborating for just as long to allow their audience to feel and see what they are hearing. Check out one of their shows at The Performance Garden in Philadelphia! The most Dedicated Modern Dance Company! Putting full-fledged emotion into their dance moves, Koresh Dance Company is the premier modern dance establishment in Philadelphia. Founded over 20 years ago, Koresh Dance Company began as simply a studio for classes and has since evolved into something much more magnificent. 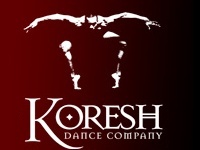 Koresh offers over 60 classes and range from ballet, hip hop, jazz, tap, and modern dance. Programs are also offered to young children as well as a professional ensemble performing for the community. Catch their last professional show of the year on December 2! Their dancers demonstrate style and poised coupled with artistic innovation and ingenuity. So stop by for a class or stay in the audience for a performance the likes of which are sure to astonish you!